A rare male Calico cat drew a line of potential adoptees. A line of people were ready outside the Petco in Sunnyvale for the eager release of a very rare thing indeed. Sherman, the four-month-old male calico cat dropped off at the Humane Society Silicon Valley for adoption, was scooped up on Jan. 31, according to Silicon Valley Community Newspapers. A line of fifteen people was outside the Petco before it opened for the chance to take Sherman home. He was adopted within 36 hours of being dropped off on Jan. 30, according to the newspaper. 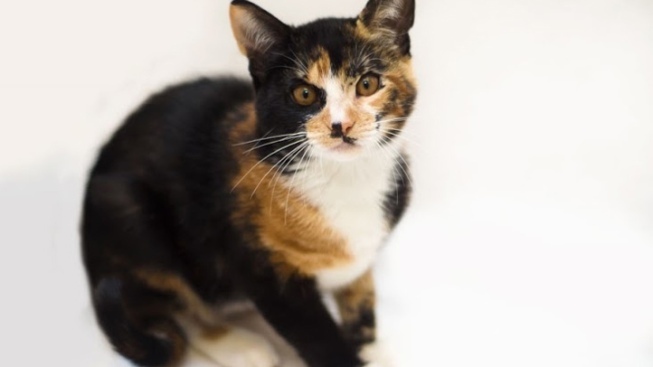 Described as the equivalent of a "unicorn," the chances of a male calico cat is 1 in 3,000, the Humane Society said.